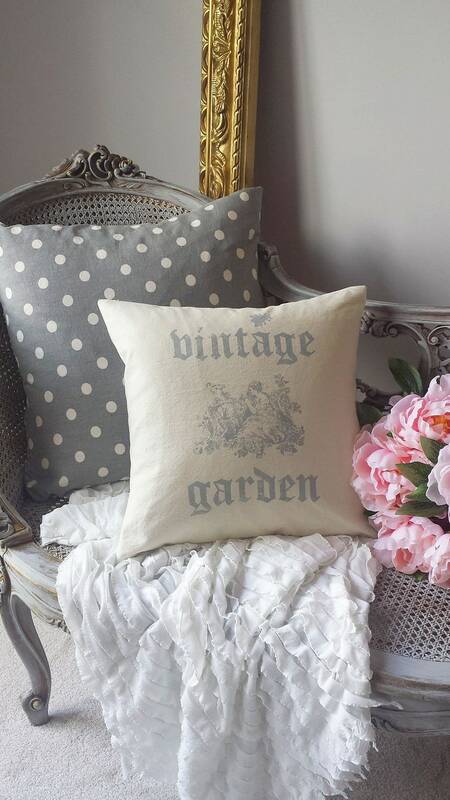 Tres chic French style pillow cover with VINTAGE GARDEN and lady toile print. Hand printed and sewn. 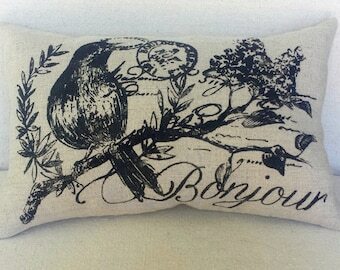 Design with old style lettering and French toile de jouy lady in pasture with sheep print. Design is gray printed on prewashed cream cotton duck cloth. For the backing, I have used gray and white buffalo check cotton duck cloth. Finished with an invisible zipper closure and professionally serged seams. Easy care machine wash, inside out in cold water and lay flat to dry.